Ed Woodward reads Football365. That’s the only conclusion to be drawn from reports this morning that Manchester United are lining up an offer for Ryan Sessegnon. The Fulham teenager featured in our Top ten contracts in need of renewal earlier this week and a few days later, the Sunday Express suggests that Woodward is prepared to sanction an offer in the region of £50million. Coincidence? We think not. Fulham have played a dangerous game with Sessegnon. The 18-year-old is into the final 18 months of his deal at Craven Cottage and though the club were keen to open talks last summer, they relented to allow the left-sided flier to focus on his debut season in the Premier League. Now, Fulham seem certainties to be making the swiftest of returns to the Championship but it appears unlikely they will be taking Sessegnon back with them. 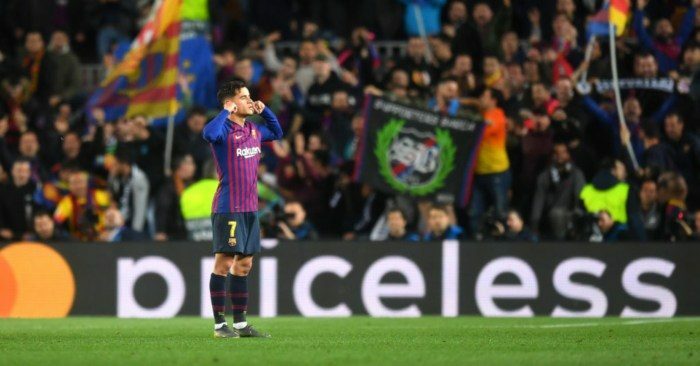 Virtually every big club in the country has been watching the teenager who already has over 100 senior appearances and the fact that Claudio Ranieri has kept him on the bench as often has started him won’t help their bargaining position. 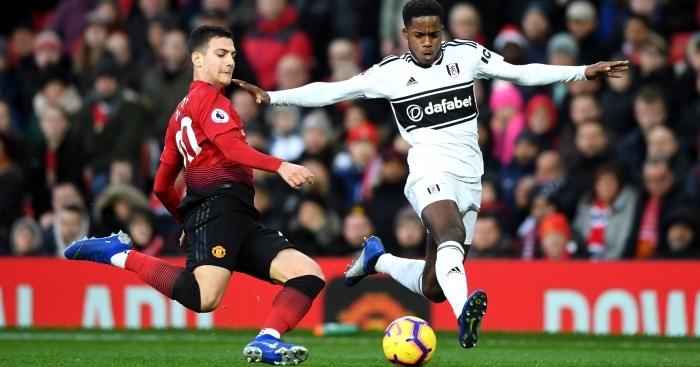 Tottenham reportedly failed with a £25million offer last summer, but United are said to be feeling twice as generous with half the time left on Sessegnon’s deal. Woodward, though, is in a rather more thrifty mood when it comes to David de Gea. The United goalkeeper is also in the final 18 months of his deal and the Sunday Mirror says he has made clear his demands to renew. 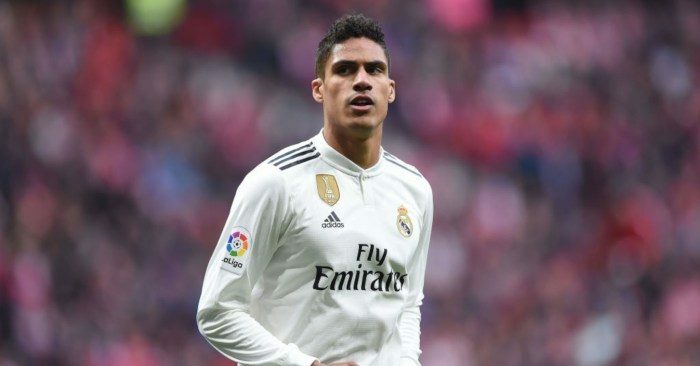 Apparently, the Spain No.1 wants in the region of £350,000 a week to recommit to United, which would make him the club’s second-highest earner behind Alexis Sanchez. Woodward really screwed himself by giving Sanchez £400,000 a week last year, while the Chilean also reportedly earns an extra £75,000 per appearance, which for most of the last year has been money for nothing. In the context of Sanchez’s deal, which will be the starting point for the foreseeable future for every United player renegotiating, De Gea’s demands seem entirely fair. Pay the man, Ed. Marco Silva is having a rough old time. As if Everton’s woes weren’t bad enough, the Portuguese boss yesterday had to face his former club who appear to be thriving in his absence. ‘Javi Gracia, he’s better than you’, sang the Watford fans, while many Everton supporters probably wouldn’t argue at the moment. The Everton board have been more supportive in public, but behind the scenes, their faith in Silva apparently doesn’t extend to not eyeing up potential replacements. The Sunday Mirror reckons Marcelo Bielsa is one possible candidate. ‘Highly-placed sources’ at Everton have pinpointed the Leeds boss as someone with the necessary credentials to take over. 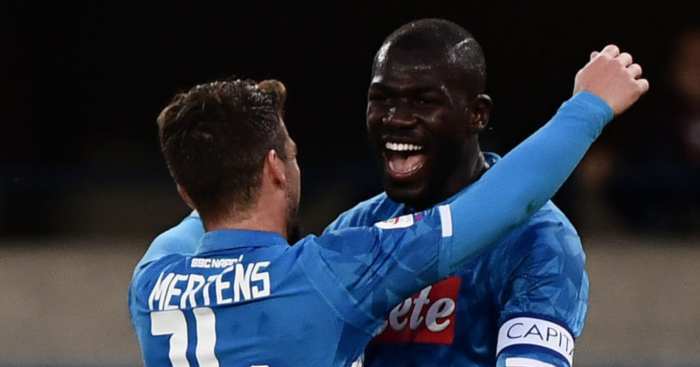 Though getting the 63-year-old to swap Elland Road for Goodison Park anytime soon might be a tough sell. Manchester City are set to sign Sunderland’s 14-year-old Morten Spencer for £200,000… Tottenham fear Adrien Rabiot will join Liverpool or Barca instead… Chelsea, AC Milan, PSG and Atletico Madrid are all monitoring Everton attacker Richarlison… Barca want a left-back and are considering moves for Lyon’s Ferland Mendy, Atletico’s Filipe Luis or Real Betis’s Junior Firpo… Man Utd have been in touch with the agent of Lyon midfielder Tanguy Ndombele… United and Arsenal will be watching Norwich defender Ben Godfrey in the East Anglia derby. 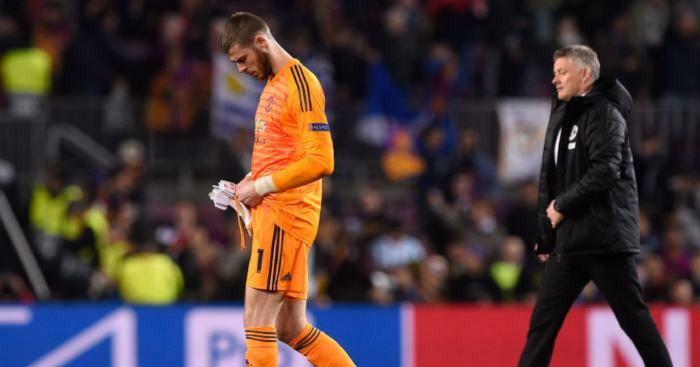 Man Ut keeper David De Gea was understood to be 'inconsolable' after making a mistake against Barca.